I’ve made spinach dip before, but this time I’m making it vegan. Full disclosure, I went into this recipe thinking I was baking a delicious quiche for dinner. Instead, what came out of the oven was a creamy, cheesy vegan spinach dip. By chance I had both tortilla chips and tasty bread in the house so all was not lost. I didn’t feel too bad about having the dip as my dinner because it’s not actually cheese! That’s wild! I need to brainstorm more about that vegan quiche but at least I can cross vegan spinach dip off my to-do list. The best part about his recipe is that it doesn’t rely on mysterious vegan alternatives, like vegan “cream cheese”, or on expensive cashews. The base is made with tofu, potato, carrot, and onion, while nutritional yeast and spices give it flavor. The dip is reminiscent of my vegan mac and cheese but with a milder flavor similar to mozzarella. The spinach dip should be baked about 20 minutes so it’s warm and gooey. This is a good time to slice up some fancy bread for serving. By the way, I have to go outside to take photos because the lighting in my home is bad. This is my awesome porch and a cool table my father finished. Also, there’s a mug some stranger left us which says “America’s Vancouver.” We use it to store incense. 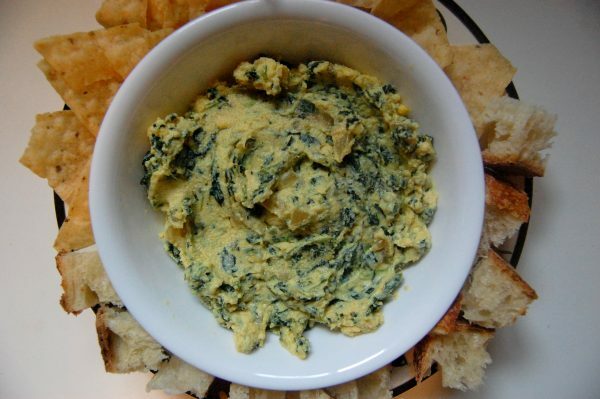 A simple vegan and nut-free spinach dip. 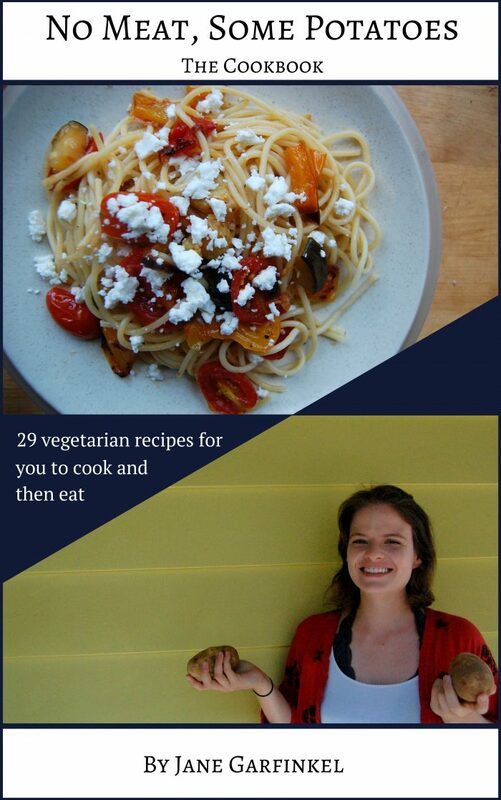 Perfect for a dairy-free party.